Figure 1. 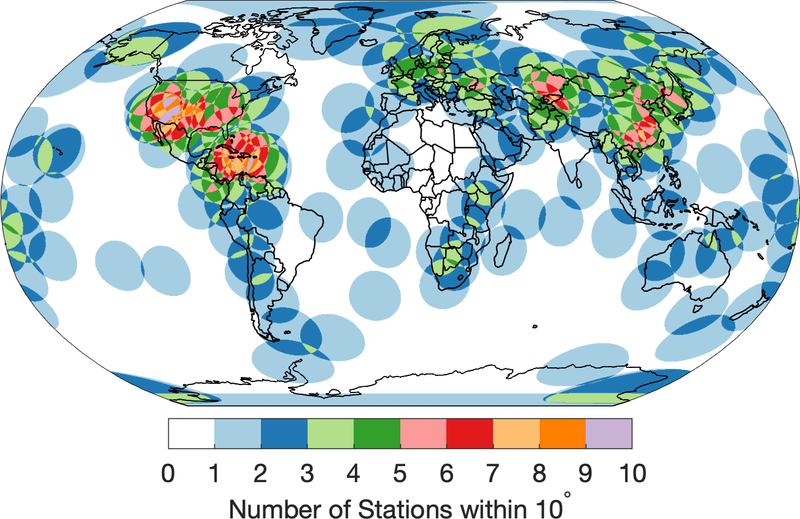 Map of GSN stations color-coded by network operator. Figure 2. Map of GSN and FDSN backbone stations. Figure 3. 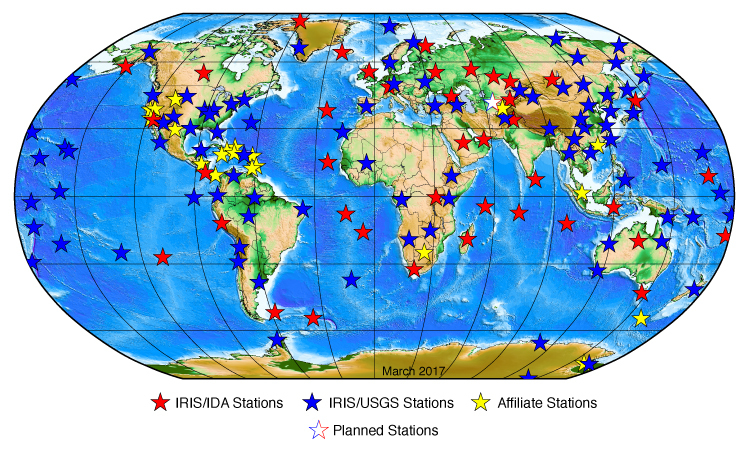 GSN stations that contribute to the International Monitoring System (seismic) of the CTBTO. Figure 4. 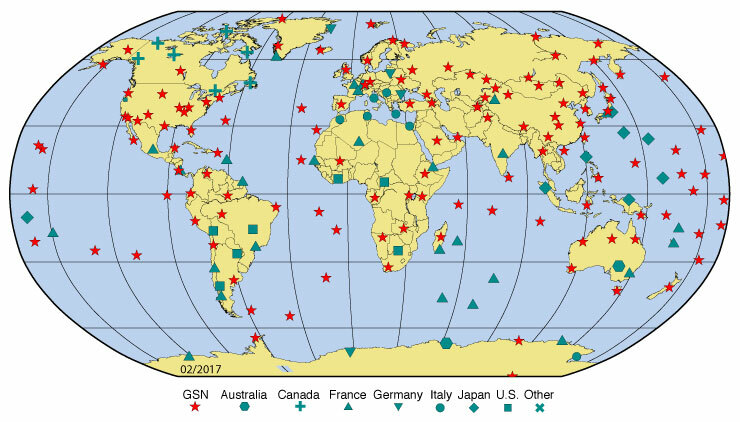 GSN stations with other-than-seismic geophysical observation equipment. Color-coded by sensor type.